Since moving to Chestermere over nine years ago, we have seen the city grow. We saw the food scene grow with the addition of a few pizza places, family restaurants, fast food joints and coffee shops. One thing that was missing though was sushi. Until now. 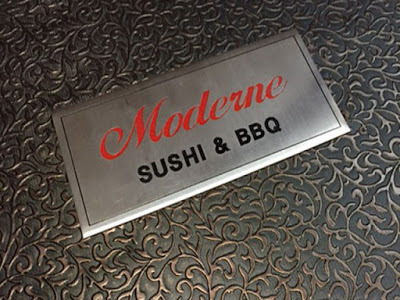 Moderne Sushi and BBQ opened last month, making all the sushi lovers ecstatic. I checked out the new restaurant a couple weeks ago with the kids and was so happy that I did. Moderne is quite large taking up the whole space left behind by the Bargain Shop. 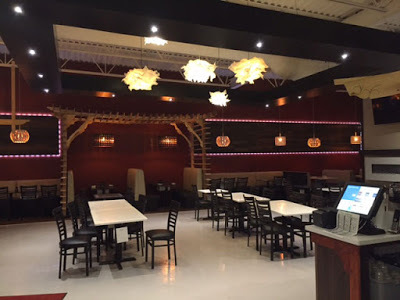 It has been renovated into a very beautiful restaurant with great light fixtures and lots of seating. For me, two things make a restaurant worth going back to – the service and the food. The service was incredible! 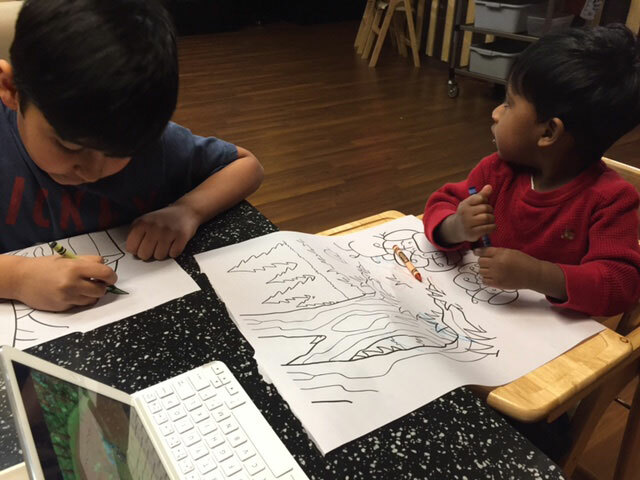 The staff were super friendly and very accommodating, making sure that both kids were happy and comfortable. The food was great! We tried the salmon and the scallops, both of which were fresh and delicious. We tried a number of rolls and they were all good! The ingredients were fresh and the cooked items were perfect. Both kids ate very well. Overall, I was very impressed with the restaurant. We didn’t try the Korean bbq that they offered but it gives us a good excuse to go back. This place is definitely worth checking out. 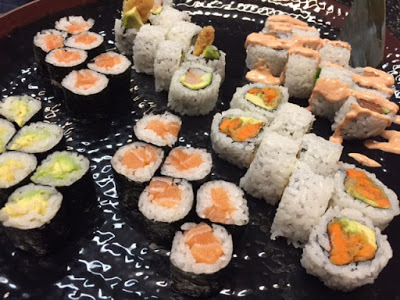 While running errands in the south end of town this weekend, we stopped for lunch at one of my favorite sushi stops – Kinjo! Kinjo is located on Macleod Trail, just south of Chinook Centre. 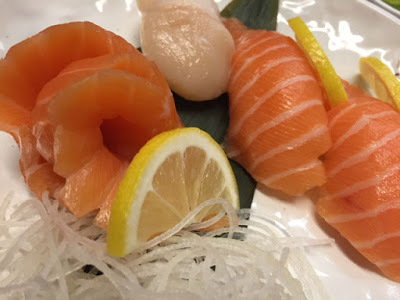 Kinjo is one of those rare places that you consistently get great food and great service. As we entered the restaurant, we were greeted with many hellos and friendly faces. Luckily we missed the lunch rush and were seated right away. Although the owner Peter wasn’t there, Henry came over and made us feel welcome and brought over a little orange head for Q. The staff made a conscious effort to take care of all of us, even our toddler, which was much appreciated. 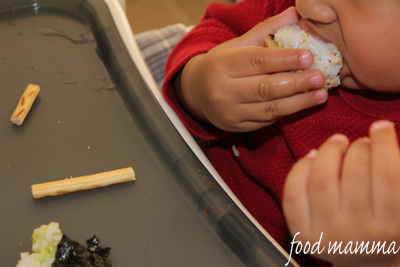 The waitress even brought over chopsticks wrapped in elastic for Q so that he could get an early start at learning how to use them. We were brought a sampler sushi plate to devour while we ordered and our sushi came quick. The food was fantastic as always. The new thing we tried was the tempura avocado which was so good, we had to order a second plate. I love that the staff at Kinjo are so accomodating. Other places, like Shibuya, could learn a lot from them. We went to Shibuya a couple weeks ago. Close to Centre Street on 16th Avenue, we ducked into the restaurant when Q showed signs of hunger. 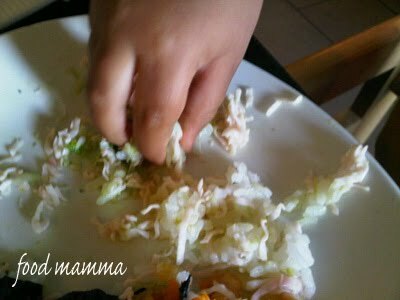 We knew the California Roll would do the trick and after peeling away the seaweed, he devoured the crab and avocado filling. 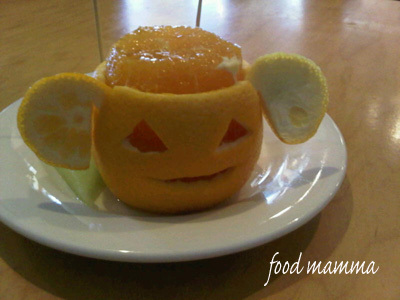 For the next round, we requested just the filling, no seaweed, which seemed to confuse the staff. Our waitress said that they wouldn’t know how to charge us so they couldn’t do it. When we told them that it was for Q, and that whatever filling they would use in a roll to just put in a bowl, they refused. The reluctance of the staff to accomodate us and the rolling eyes of the hostess definitely put Shibuya on the “stay away” list. As for Kinjo, we will be back, many times over. It had been a long week and definitely a day to order in. We needed something that would keep a picky 18 month old and a dieting hubby happy. Sushi it was! We order sushi often from Sumo Grill in Sunridge Mall and enjoy doing take out so Q can thoroughly enjoy the sushi and we don’t need to worry about making a mess at the restaurant! 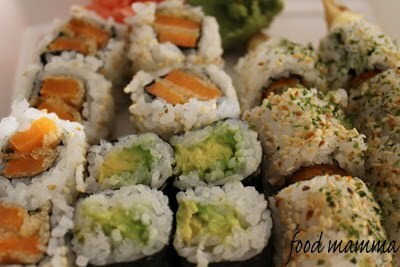 The sushi is fresh and the high quality of the food entices us to go back again and again. 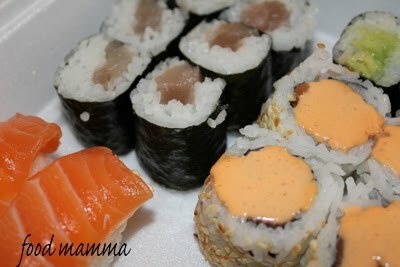 We ordered spicy salmon rolls that were covered in a creamy sauce with some kick. Q loved the simple avocado rolls and the delicious yam tempura rolls. 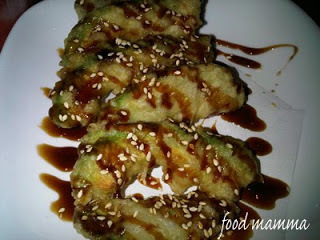 My favorite at any sushi place is dynamite rolls – filled with tempura shrimp, yummy! The salmon and tuna sushi were melt in your mouth good. Satisfying and delicious, can’t wait to have some more.